We all store important and private information on our computers, whether we use them for business or personal reasons. While our computers are reliable most of the time, one of the biggest fears we have is when we push the power button and nothing happens. The computer will not start up and just sits there, or worse it displays an error message stating the BIOS cannot find a bootable device. At this point, it is obvious something has gone wrong and the computer needs to be repaired. For many small and medium sized business owners, this means having to ship the computer off to the manufacturer or take it to a local computer repair service. Whichever method you use, it is not uncommon to be asked to include the user name and password to log into the computer. While most repair services are trustworthy, there are still other risks you may or may not have been told about that could occur during the repair process. It is not uncommon to ship off the computer and get it back, fixed, but all of your data is gone because they had to install a new hard drive or reinstall the operating system on the original drive to get the computer working. Then there is the risk of accidentally deleting files when the repair technician is not entirely sure what is wrong. The last thing you really want after getting your computer fixed is booting it up to discover you lost all of your files and data. Prior to boxing up the computer and shipping it off for repair, there are a few different things you can do to ensure you data does not get erased. 1. Always plan for the worst case scenario. 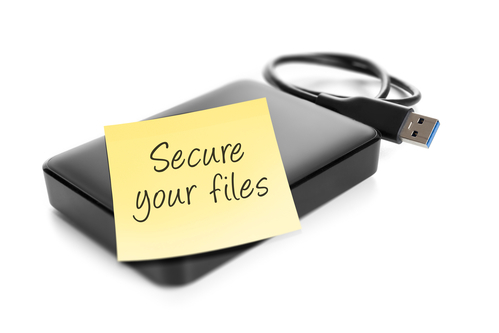 Get into the habit of making regular daily backups of your files and data to an external source, such as the Cloud, an external drive, or other type of storage medium. 2. Password protect sensitive folders and files. You can password protect any of the files and data on the computer to keep them secure, such as tax forms, profit and loss statements, credit card statements, or any other proprietary data you want to protect. 3. Use a hard drive data recovery service. If you want to get your data and files off the hard drive before shipping it off, this is your best option. Not only will you have a backup of your data and files, but you also do not have to worry about it being accidentally erased. In cases, where the problem is related to the actual hard drive and not some other issue, then a data recovery service would be highly recommended, since the computer repair service will end up replacing the hard drive with a new one. For help with recovering data from your hard drive or other storage devices from certified technicians, contact Taking It Mobile at 888.887.5002 (1-888-Call-TIM) today! We also offer free pickup and delivery service in the GTA!